prevention pays, but only when we invest in it. It will not pay dividends, without sustained, suitable and strategic community-level investments across the country and across development sectors. Disasters will continue to take up an increasing amount of time, cost large amounts of money and require endless efforts, not only for the national and local governments but, more importantly, to the poor among the vulnerable communities of India.The last days of the International Decade for Natural Disaster Reduction (idndr) that ends this December is a good time to find out if India is investing. Costs of disasters in India are rising each year and in many states they have overspent the available relief amount from the government of India. 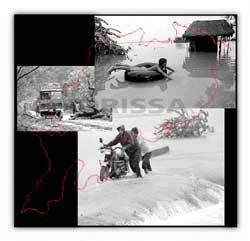 In 1998 almost every state called on the government to provide additional and huge amounts of relief far beyond the scope of the two relief funds of the government of India. In other words, the cost of relief is eating up development sector allocations already. And when relief remains unpaid, the poor victims are absorbing the costs. Even then, to a considerable degree, disaster risks are approached with a relief or charity attitude and not as an opportunity to invest in prevention of disasters. Within the possible range of investment options available to India in prevention measures, I wish to highlight specific areas of high, immediate and long-term returns. These areas are identified on the basis of my recent involvement with a team of three experts invited by the government to review its activities under the auspices of the idndr decade. The review, not a complete exercise so far, is called idndr : Indian Experience and Initiatives , and is available from the Natural Disaster Management Division of the Union Ministry of Agriculture. A more complete and comprehensive version is being prepared in due course. These areas of investments in prevention are of even more significance if India plans to make prevention pay at the vulnerable community level. Investment in urban risk reduction activities is of top priority. Without integrating community risk reduction plans with citywide development plans, no amount of preventive measures will pay either economic or political dividends. The communities across India -- in large and small towns -- know the risks to which they are exposed, how the risk factors are connected to development efforts and what is it that they or the city authorities could do to reduce them. The Department for International Development (dfid)- supported Technology Development Research (tdr) project of Disaster Mitigation Institute, Ahmedabad, Oxford Brookes University, uk and the National Centre for Disaster Management in Ahmedabad and Delhi proved that communities can plan risk reduction. Urban areas are also attracting large amounts of local and international capital investments unknown to free India's economic history. Most investments are made in or are dependent on the safety of urban India. These investments are exposed to disaster risks. Investments in urban community risk reduction measures by cities and municipalities across India will only shelter this exposure to risk. And "money saved is money earned" is not a new idea to the Indian community. Another equally important prevention investment that can be made by India is in the coastal communities, which will generate long-term high yield not only in terms of lives saved and property protected, but also in terms of production maintained, infrastructure protected and export-import trade and business expanded. The June 9, 1998, cyclone that destroyed Kandla cost Rs 3,000 crore and affected more than five districts of Gujarat; it was an early warning. The May 19, 1999, cyclone that killed around 400 deep-sea fisherfolk from Diu before moving on to Pakistani shores was a repeat warning to the estimated Rs 20,000 crore investments in coastal Gujarat and Maharashtra: without adequate and effective community investment in prevention, huge national economic losses will be inevitable. After the 1997 cyclone, Andhra Pradesh has learned rather rapidly and has initiated preventive and community-based measures. Gujarat, West Bengal, Orissa and other coastal states have a lot to learn. The way relief is handled also needs major policy and operational changes. First, relief is given out as charity and is not seen as an investment in prevention or preparedness. Second, cost accounting of relief is not done, and when it is done, the results are not easily available for public review and reflection to influence policy. To make relief more effective, it is argued to expend the relief efforts. This means more salaries and more establishment costs to the taxpayer. This also means more layers between the decision-makers and those who receive relief. By investing efforts and resources to include victims in the governance of relief, India can reorient relief from charity to a paying proposition. The management of refugees before the Bangladesh war saw such innovation. But lessons have been lost. In the us, the Federal Emergency Management Agency (fema) has recently gone a step further to help victims join the policy design of relief efforts. Such delegated and decentralised relief governance will lead to preventive measures. In Latur, when relief was effective, it was found that the victims were included in its governance by agencies such as care India, Oxfam (India) Trust, Evangelical Fellowship of India Committee on Relief (eficor) and others. A related point is that of maintaining relief standards and quality of relief. Without improving the quality of relief, the prevention measures will not pay. The prevention measures need a climate of quality relief where investments grow and yield dividends. All said and done, relief will have to be given. And this relief must be of improved quality. The Bhopal gas leak taught us the connection between poor quality of relief and community rehabilitation. Poor relief quality leads to diminished return from rehabilitation and future preparedness. The most important step that India needs to take is to move away from emergency management or crisis management to disaster risk management. The change is basic and fundamental. That is, the government and civil society need to not only find ways to better and effectively manage disasters but also to find ways to reduce vulnerability of the people to disaster risks. This reorientation is fundamental and must be done before any community investments are made in prevention. Short-term investments give short-term gains. For sustained returns, investments must be made in disaster risk management. Efforts are made to protect life and property. But investments in protecting livelihoods of the people can pay greater economic dividend. Each year disasters displace a wide range of jobs in the formal and informal sector labour market. The Chamoli earthquake displaced a large number of minor forest and non-farm jobs, reports Chandiprasad Bhatt of Dasholi Gram Swaraj Mandal. Tejabhai Desai of Gujarat Jan Jagaran Sangh reports that the May 1999 cyclone destroyed a huge number of fishery and fish-processing jobs in addition to cattle breeding and camel rearing in Gujarat. The June 1998 cyclone left thousands of salt farmers and contract labourers in and around Kandla and other smaller harbours without jobs, reports Madhusudan Mistry of Development Initiatives for Social and Human Actions. This causes a big loss to the financial market as well as to the labour market which must be prevented in the future. Most institution-building efforts are targeted at national and state capital level. The National Centre for Disaster Management in Ahmedabad is one such example. The above investments do not ensure prevention, because finally it is the community that has to prevent disasters. If the community does not have its own local organisations or institutions, this prevention is not possible. After the floods in Rajasthan in 1997, the experience of Tarun Bharat Sangh of Alwar has shown that community institution building is the first step. In fact, these institutions exist in many places. They have to be recognised and revived, and enabled to grow. Without investing in community institutions it is not possible to sustain returns over more than two to three years. Equally important investment needs to be made in the social security sector that can protect mother and child, their health, their shelter, and also their work security. If communities are not insured, the country will face a large number of victims each season. After the Malhotra committee report on reforms in the insurance sector, the government of India has recently taken several initiatives to liberalise and revitalise the insurance industry in the country. Now a bill has been introduced in Parliament. Unless the liberalised insurance sector protects the vulnerable communities, investment in prevention measures will remain dormant. India has the widest range of experience in disaster risk management and in prevention and yet it has not established its regional role in promoting this culture of prevention and safety in South Asia. This is odd. Given the range of individual, governmental, institutional and community-based resources, India must play a leading role in promoting prevention in South Asia. The February 5, 1999, Policy Forum in Delhi on "Future of Mitigation, South Asian Disasters" was one step in this direction. Another step is about to be taken in November at the South Asia Conference organised by the Indira Gandhi National Open University. Oxfam (India) Trust is regionalising its humanitarian assistance activities across its partners in South Asia with rapid speed. The partners include some of the most innovative organisations in India. Cooperative of American Relief Everywhere (India) (care) has already initiated reaching out to regional, cross-country and inter-country issues such as floods. Now, the government of India needs to take a firm and well-studied lead in these activities without delay. India must lead in investing in communities for prevention. The above are selected areas where urgent community-level investment in prevention measures will yield high and sustained dividends. The government may well start with investing in communities for disaster prevention. (The writer is the honorary director of the Ahmedabad-based Disaster Mitigation Institute).